The vehicle audio and entertainment giant is to add NFC to future products, enabling drivers to interact with their in-car systems, play phone calls over car speakers, interface with diagnostics systems and more. In-car audio and entertainment equipment maker Harman has signed a deal with NFC technology specialist Stollmann that will see drivers being able to use their mobile phone to interact with their vehicle in a wide range of ways. The deal will see Stollmann’s NFC protocol stack being integrated into Harman’s future product portfolio to make it easy from drivers to establish Bluetooth connections between an NFC phone and in-car “NFC hotspots”. The Stollmann stack is chip-neutral and supports all three NFC operating modes — read/write, peer-to-peer and card emulation. 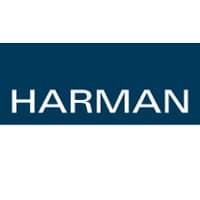 Harman produces audio and infotainment solutions for the automotive, consumer and professional markets under 15 brand names including AKG, Becker, Harman Kardon, JBL, Lexicon and Mark Levinson. More than 20 million vehicles around the world are currently equipped with Harman audio and infotainment systems.